In retrospect, it was perfect. 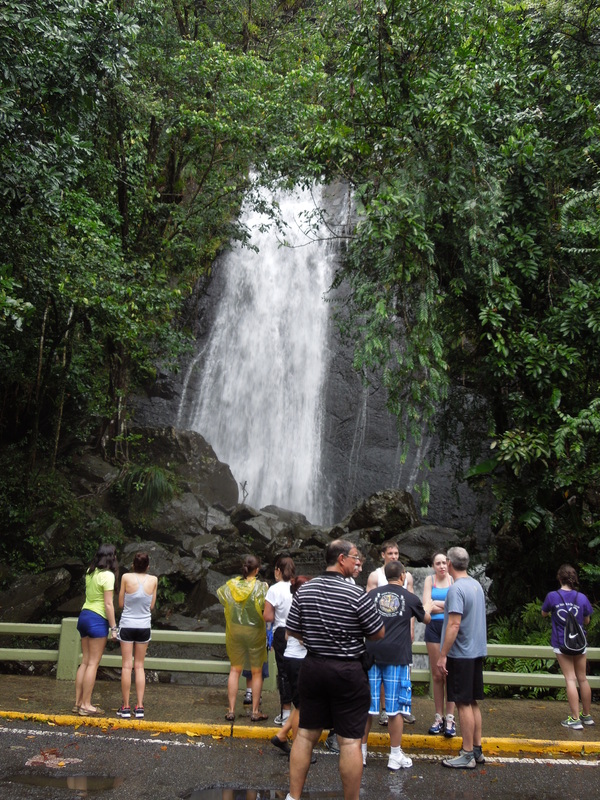 We all spent a day in the El Yunque rainforest, where it rained, and rained, and rained. We should have expected that, right? And yet, not a single person in our tour group brought an umbrella or rain poncho. He stepped off the mini-bus and pretended to plead with the sky. When that didn’t work, he boarded the bus and said he’d try something else. He opened a storage compartment and pulled out a dozen cheap rain ponchos. A miracle, indeed. Other tour groups were not as lucky. They didn’t get rain ponchos. 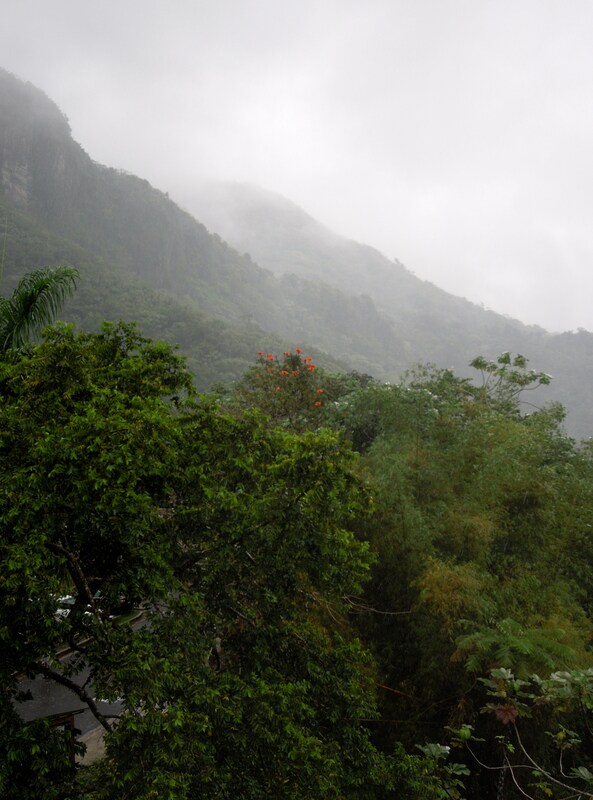 The rain did not diminish the beauty of the only tropical rainforest on American soil. 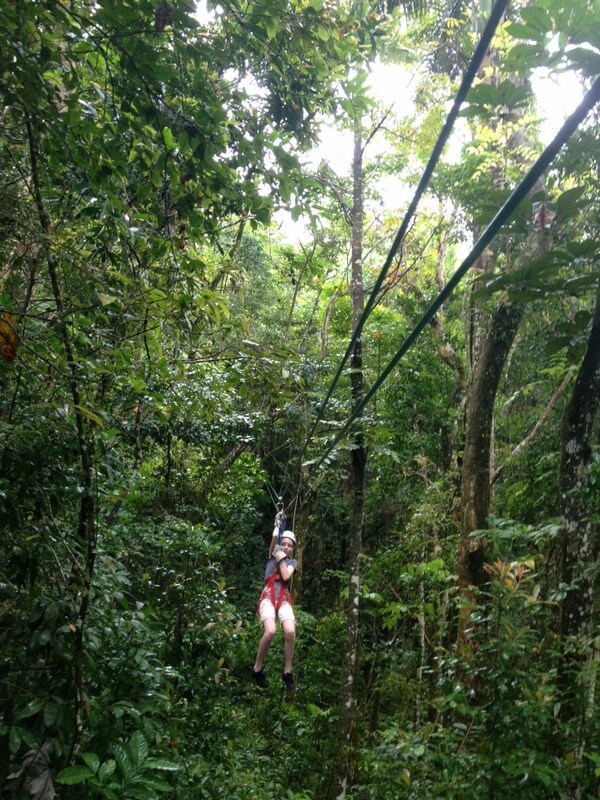 Nor did it detract from the fun that my husband and daughter had ziplining through the trees. In hindsight, I can’t help but wonder whether a sunny day wouldn’t have ruined the effect? It seems so fitting that it rained in the rainforest, don’t you think? Would you let a little rain dampen your fun? There are a couple of independent companies. They are still very protective of the preservation effort. It is a vast forest, so I’m sure we only saw small bits of it. Unfortunately, because it was raining so hard for most of the day, we didn’t get to see the Coqui frogs they’re famous for. It was pretty, but came down so hard at times that we had to find cover. We were soaked! Actually, it was a cold rain. We were freezing and complpetely unprepared to be cold in Puerto Rico. ut it was beautiful. It’s a shame it was cold rain 😦 Warm rain would definitely be fun in the forest though (although perhaps less so when ziplining?). Looks like you all made the best of it though! Luckily, we’re pretty hardy souls and just chalk it up to funny stories to reminisce about. Ziplining. That’s one of those activities I watch other people do! I love the way the mist looks in your first photo. Notice I didn’t go ziplining. Just my husband and daughter. The rain and mist were pretty — when you could lift your head to look.